WoolBroker Web Grower enquiry is a web add-on to our WoolBroker package, allowing Brokers to give web access to their clients (growers) to see the results of wool sales in real time. With Grower enquiry a grower can log in and see the lots that the Broker offered for sale on their behalf including test certificate results and sale results. 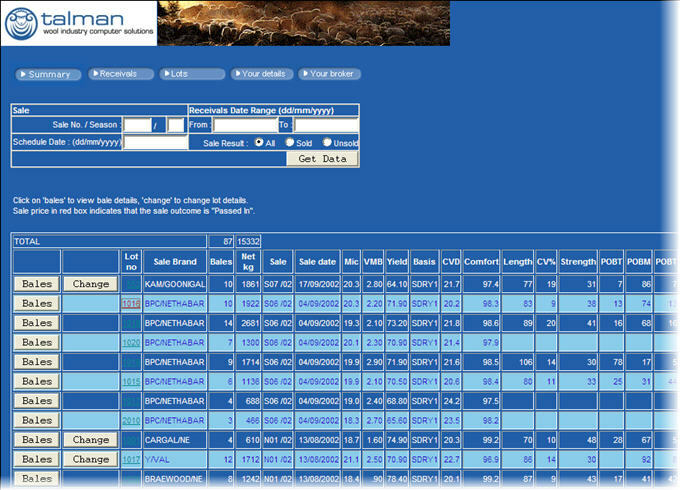 The web site is used by Growers to enquire on the status of their wool within their broker’s system.